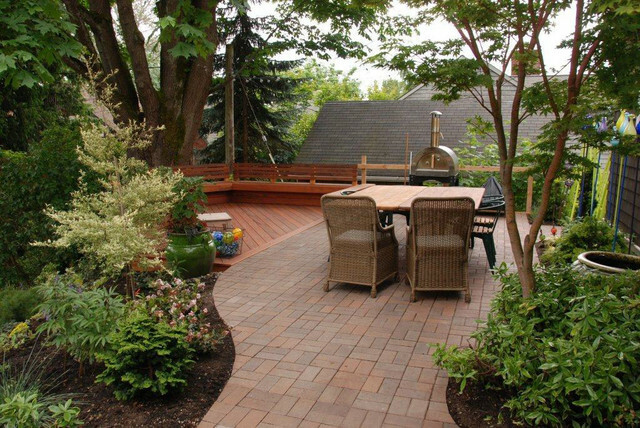 Pavers mesh with the decking for a smooth, generous outdoor 'floor which allows for multiple furniture arrangements. Glass art by Andrew Holmberg of Portland. Tree at left is a dwarf Styrax 'Frosted Emerald'.